Steve Lok, head of marketing tech & ops, The Economist. Data regulation is going to be key to marketing innovation, said Steve Lok, head of marketing technology and ops at The Economist. Speaking at ADMA Data Day 2018 in Sydney, Lok said general data protection regulation is happening all over the world. But instead of it being an issue, he saw it as an instigator of innovation. “This data regulation is a necessary correction in the bubble marketers operate within,” Lok said. “People are starting to understand they own their own data, and this will come to a head. It’s only a matter of time before there is a big class action lawsuit in this space. “Marketing has been collecting and using personal data for years, and this regulation means marketers are going to have to re-invent the wheel. But this is a good thing, not only because it will mean people start to trust marketing again, but also because constraint is also one of the best initiators of innovation. Human beings love to adapt, so watch this space over the next 12-18 months." Lok also discussed how data-driven marketing has changed over the recent years to make marketing more targeted and personalised, and how modelled audiences out-perform anything in the traditional marketing sphere. “We are all chasing that audience of one, programmatic is personalisation,” he said. 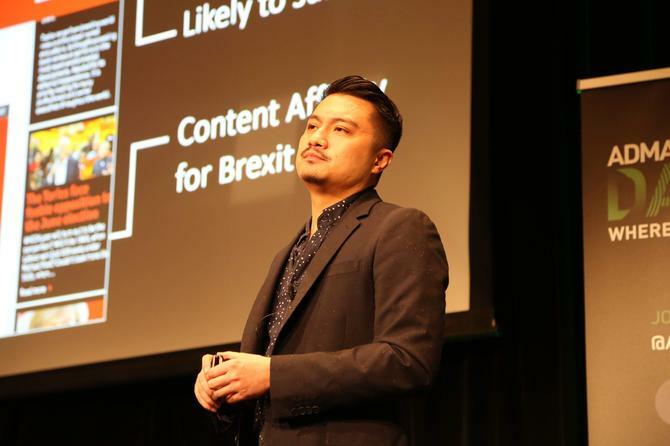 Lok, who is renowned for taking £150,000 and turning into £6 million in subscriptions for The Economist, said he was lucky to move from development into marketing just at the time when digital marketing was evolving. “Marketing struggled for a long time over how to make it measurable. We have transformed what we thought was possible to do digital marketing, and key to this has been the power of data,” he said. “The success of The Economist was a combination of technology and creative inside a system that looked to marketing automisation before there was a Salesforce Cloud or companies like Marketo. “We wanted to make it as automated as possible. So we reclassified content into seven ‘passion buckets’ that were emotionally driven, rather than your traditional classification of content. In this way, we were drawing people from a passionate perspective, then, every single click was cookied and profiled to a point where it didn’t matter if the reader left the site at that point." What is clear is that this kind of transformation is a multi-stage journey, Lok added. "We pushed everything through our DMP [data management platform] and then we could approach the reader again with content that was more meaningful for them and more targeted. We’ve been building on this since then,” he said.